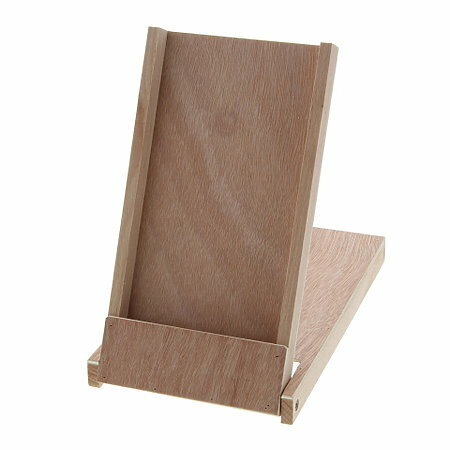 The pencil easel box is a fun and functional way to protect, store and transport pencils. The box is constructed of hardwood with veneer, and is hand sanded. It is designed to hold a set of 12 pencils. The top of the box flips over allowing you to see and select pencils while keeping them conveniently within reach. The slim design fits nicely into portfolios and drawers. The box measures 4-3/4" x 8-1/4" x 1/2".